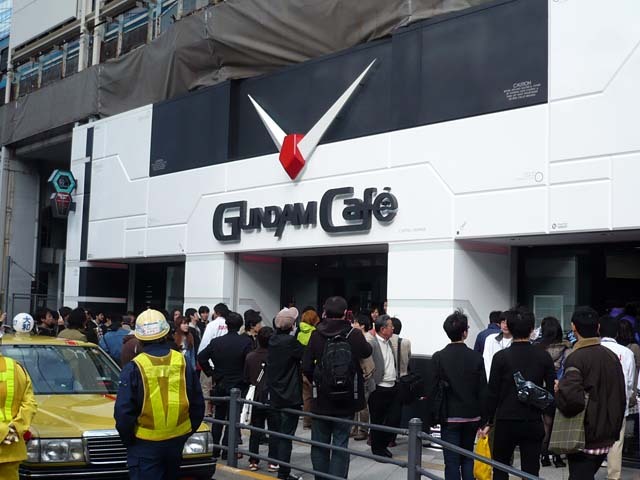 April 24, Saturday, I went to “GUNDAM Cafe” that just opened on the same day in Akihabara, Tokyo. 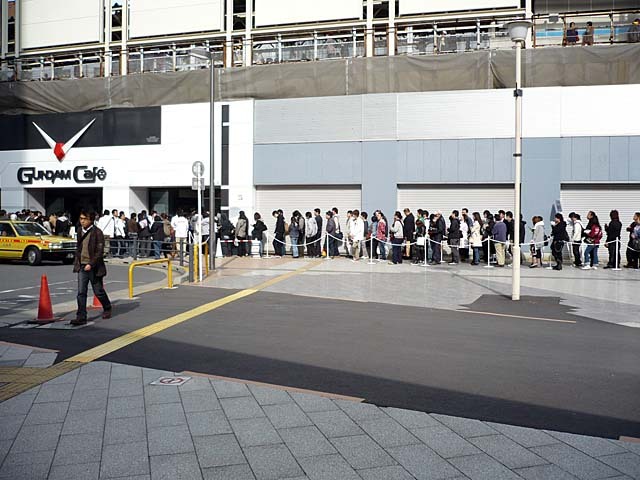 I go to Akihabara twice a week for business, but I think there are much more people there on the day. On the way to the cafe, I happened to find another Gundam! 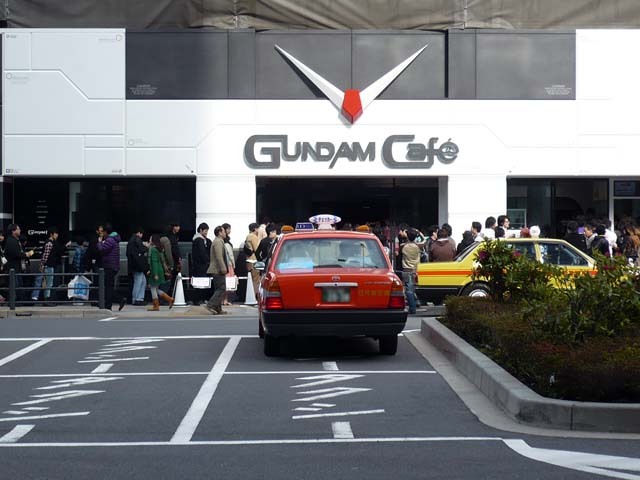 But it wan a game event and nothing to do with the GUNDAM cafe. 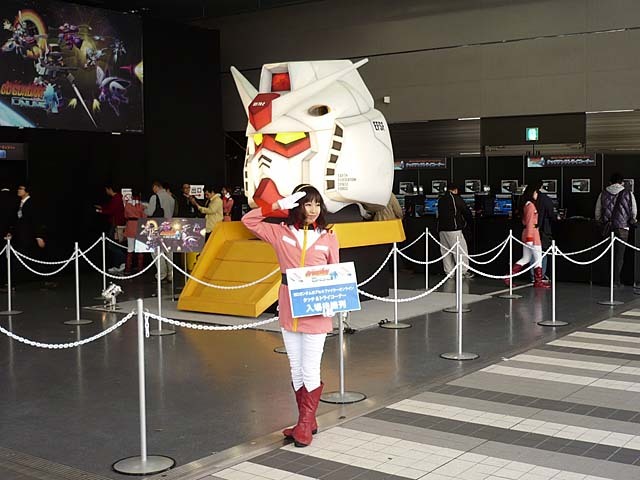 The Gundam head behind the girls in the Earth Federation costume is the same one as the 1:1 scale Gundam exhibited in Odaiba, Tokyo. Here I was at the cafe. 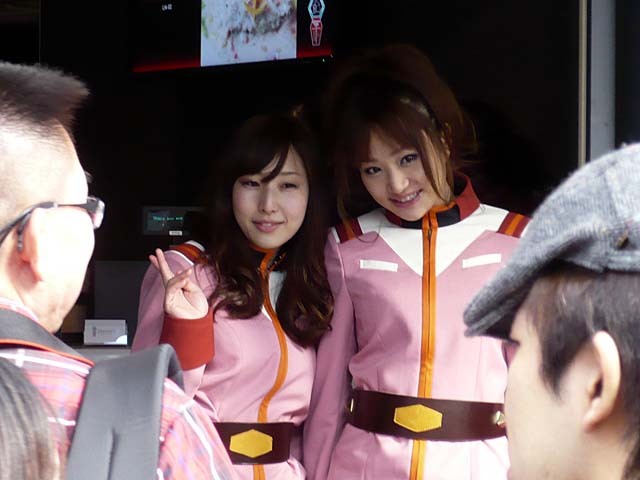 The Earth Federation ladies were here too! 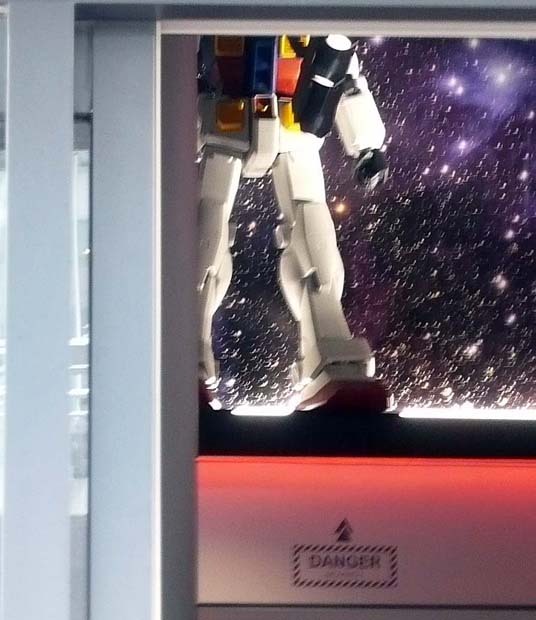 It looks there is a huge Gundam in the cafe but I can’t see the whole body. You want to see inside of the cafe? Well, ah I really wan to show it to you but it was so crowded that I didn’t feel like having a coffee. You have to see this picture. I, who have no guts, gave up the idea of going in the cafe LOL. But I will go back there and show you what they serve!